No building is complete without emergency exits. No building is complete without emergency exits. Although the word photoluminescence may be odd and unwieldy, you can’t deny how important it is. 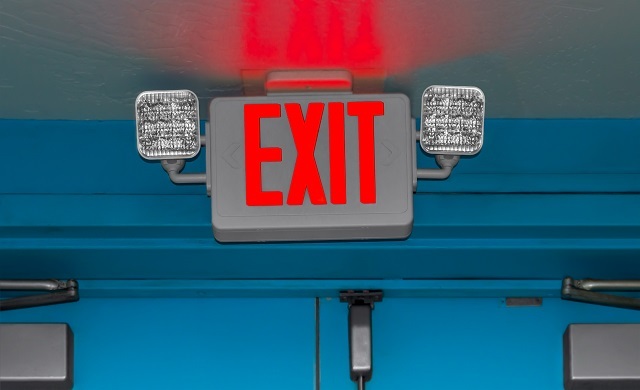 Without it, emergency exit signs that don’t or can’t light up wouldn’t work the same. In many emergencies, the lights will go out because the power systems in the building will be affected. The people inside the building need to be evacuated, even if the standard exits are no longer safe to access. In the event of an emergency, everyone in the building needs to be able to escape, even if the building goes into lockdown. Once the lockdown lifts, fleeing the structure is crucial. Employees, customers, and visitors alike will be scrambling for the exist. This means that the standard doors that allow entry will be crowded and can make escape even more difficult, especially if the doors become jammed or are intentionally blocked or otherwise sabotaged. Fire exits are one type of emergency exit that needs maintenance and given the proper photoluminesce so that anyone who needs them can find them easily. This way, the risk of injury and fatalities are minimized. The bigger your building, the more workers you are likely to have. That means you will need to have more emergency exits. However, for these same safety reasons, it is critical that you don’t exceed capacity requirements as established by the fire marshal. As noted above, emergency exits are an integral part of any building, no matter what purpose it fulfills. Fire, smoke, chemicals spills, electrified water, toxic fumes, and debris could block the regular exits, making them too dangerous to use. Emergency exits, on the other hand, are required by law to be kept clear and well-maintained even if they aren’t used that often; the point is to make sure they will work when needed. Keeping furniture, merchandise, and extra supplies, whether it is crates of cleaning materials or shelves of tools, away from fire exits is critical. You can never predict when a fire will start. Even when you have the best fire protection equipment on the market, that doesn’t mean that your building is completely fireproof. That’s why incorporating FireStop materials into your building design is as crucial as the concrete that forms the foundation or the HVAC systems that provide heating and cooling to the building throughout the year. You can save the lives of everyone on the floor or in the entire building, plus protect your property and assets, and also No building is complete without emergency exits.save money on the repairs that you would need, especially if you don’t have the right insurance coverage to help defray the costs of disaster recovery and rebuilding. This entry was posted on Friday, April 12th, 2019	at 10:59 am	. Both comments and pings are currently closed.